The PopUp Trundle Twin Pop Up Trundle on Rollers by Coaster from Nashco Furniture - Nashville. We proudly serve the Nashville, Franklin, Brentwood, Clarksville, Green Hills, Davidson County, Williamson County, Tennessee area. Product availability may vary. Contact us for the most current availability on this product. This Pop-Up Trundle is perfect for adding additional sleeping space with out taking up any room until bed time. 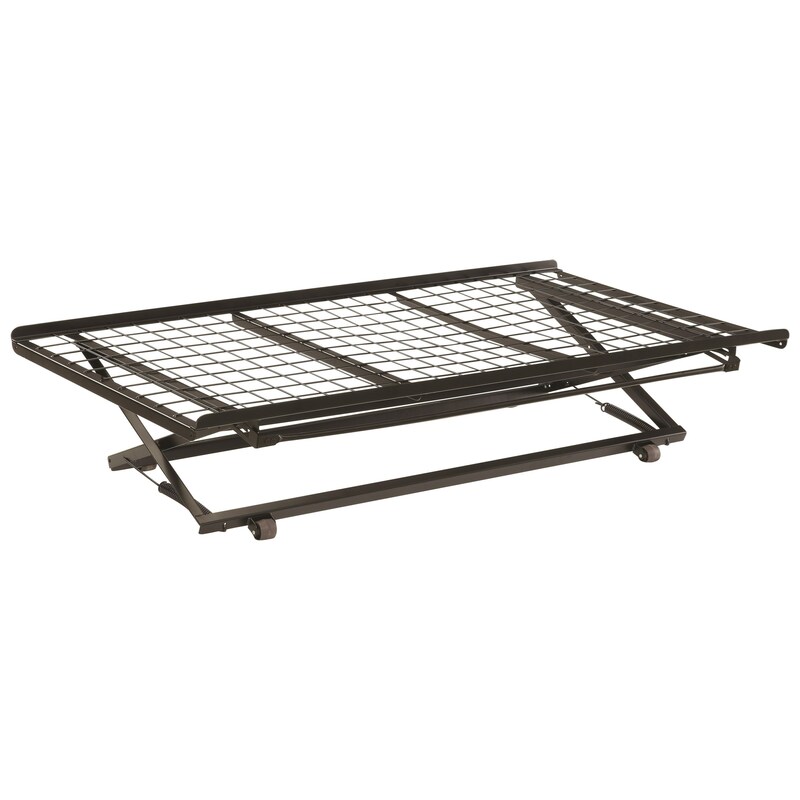 You simply place a low profile twin mattress (not included) on this frame, and roll it under a bed (clearance must be greater than 6.25" plus the thickness of your mattress). When the mattress is needed simply roll it out and trip the trigger to pop it up to sleep on. The PopUp Trundle collection is a great option if you are looking for Mattresses in the Nashville, Franklin, Brentwood, Clarksville, Green Hills, Davidson County, Williamson County, Tennessee area.